MUA have been killing the game recently! 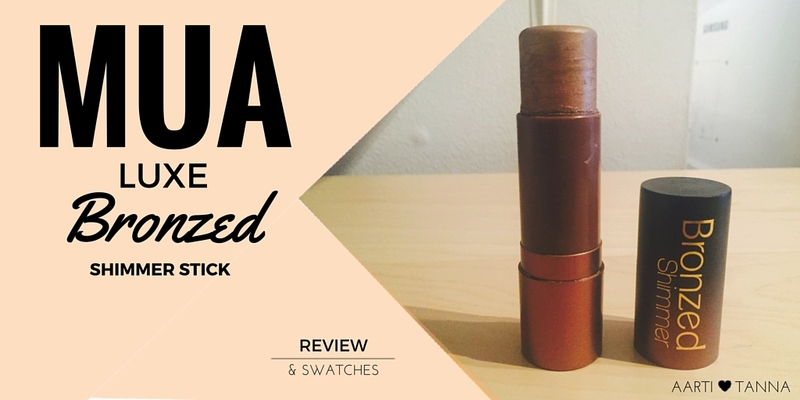 They are so on point with keeping up with all the new hypes in the beauty industry and their new "MUA LUXE" range has hit the nail on the head with their Bronzed Shimmer Stick! Whilst casually browsing through the make up aisles in Superdrug this little beauty caught my eye! 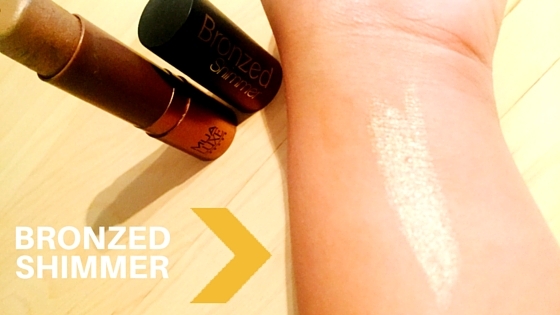 State the word "Bronzed" and I'm all over it! After one swatch of this in store I was sold and it made it's way home with me. The way I use this product is as a base to my powder highlight. So once my foundation, contour and concealer routine is done I swipe a little bit of this product across the top of my cheekbones and blend out slightly with my fingers. It gives such a natural glow and works perfectly with people with darker skin tones like me. 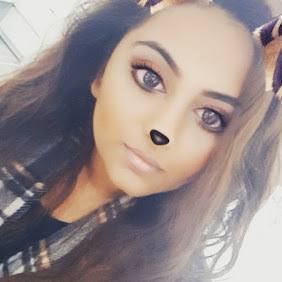 On days where I'm not looking to blind people with my highlight I leave this step right here - But when I'm feeling extra fancy popping on some powder highlight on top gives such a beautiful, glowing highlight!! For those of you who like a little bit of glimmer in their bronzers this could be a fantastic product to add that extra oomph but for me I love a matte contour and bronzer with some sparkle on the top of my cheekbones. As for the packaging, it really does suit the needs for the product. The twist up mechanism is so easy to work with and the sleek tube makes it great to travel with! For only £4 this is one of my favourite shimmer sticks from the drugstore. I know MUA stock this in another lighter shade which would be perfect for those of you with a lighter complexion but for me... This gold shade is EVERYTHING!! Have you given this a go? Let me know your thoughts below! I want to try this out asap!